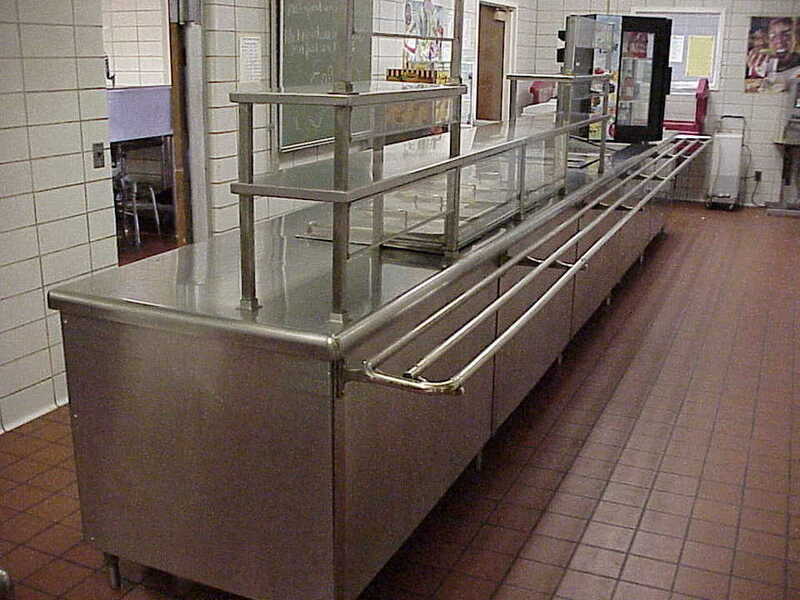 Manufacturers of Stainless Steel Food Service Equipment. 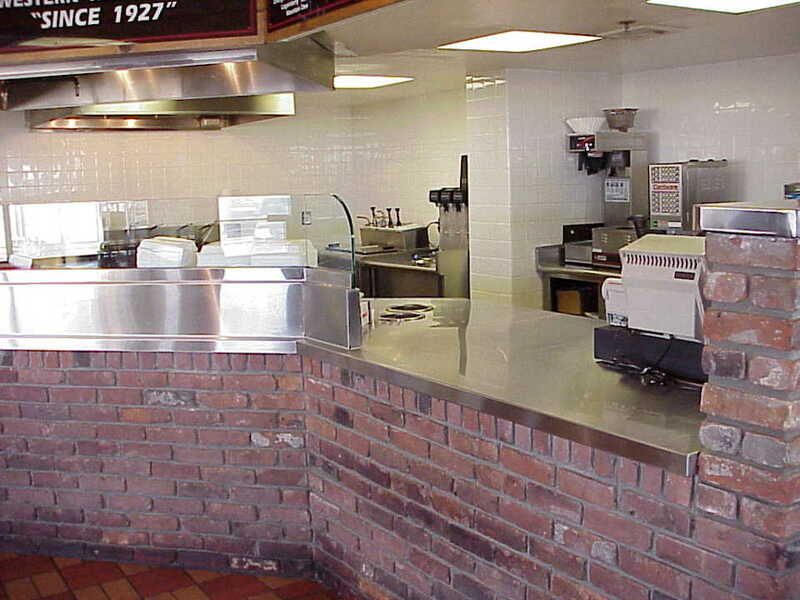 If your kitchen needs any custom stainless steel we can help. 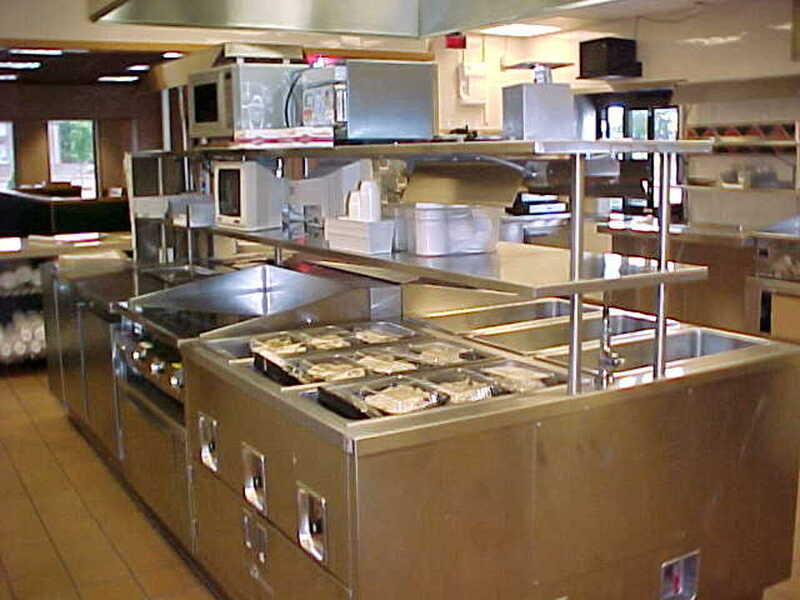 We have fabricated custom commercial kitchen equipment of all types used by Cafeterias, Churches, Fire Houses, Hospitals, Nursing Homes, Restaurant and Schools, Stadiums, and Public Recreational Buildings. 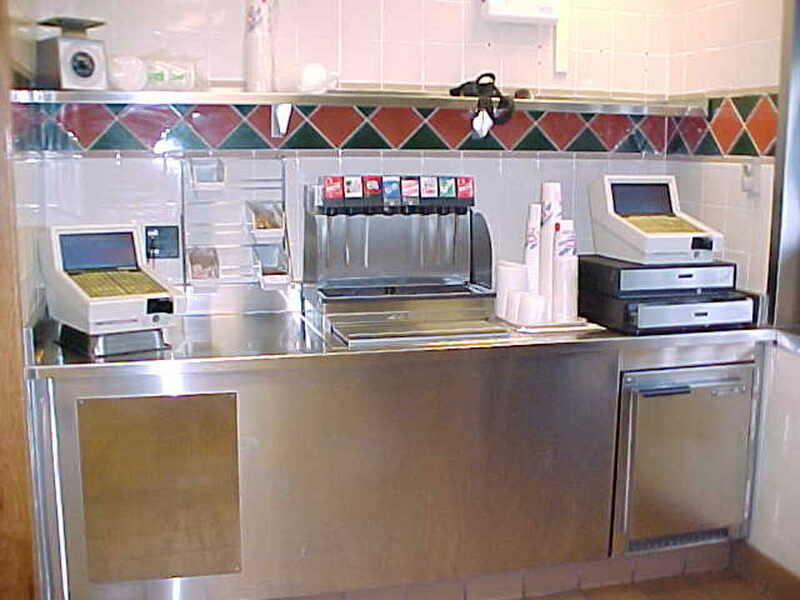 Serve your customers in style with one of our custom stainless steel beverage countertops. 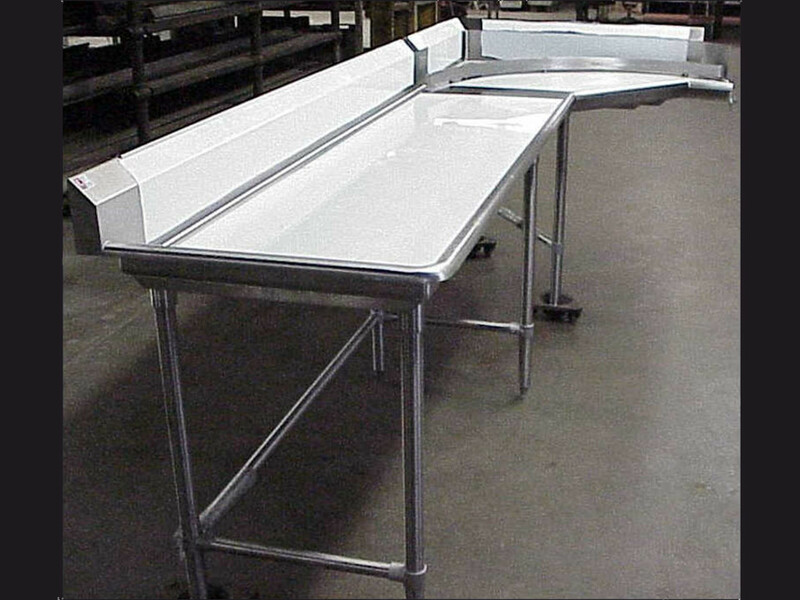 Stainless steel custom dish tables configured to your exact needs. Need a size not available in a catalog? 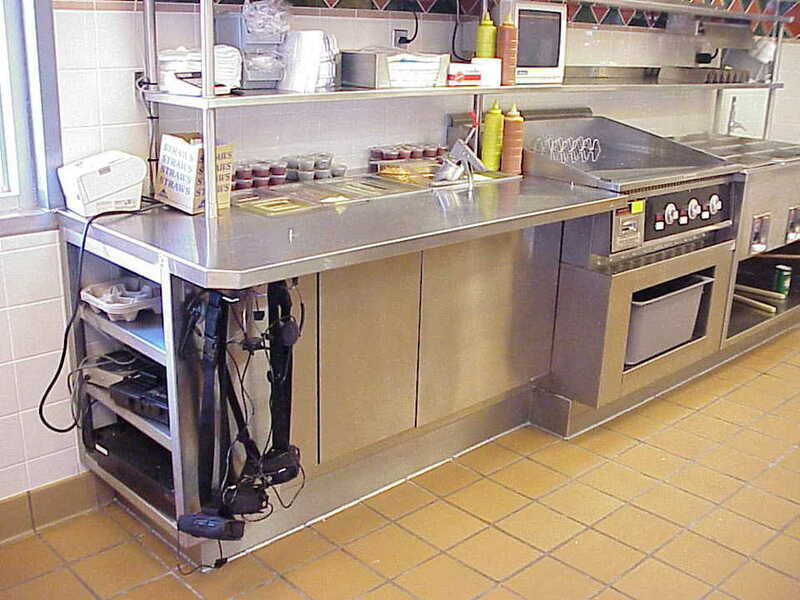 Give us a call, we will build one for your exact requirements. 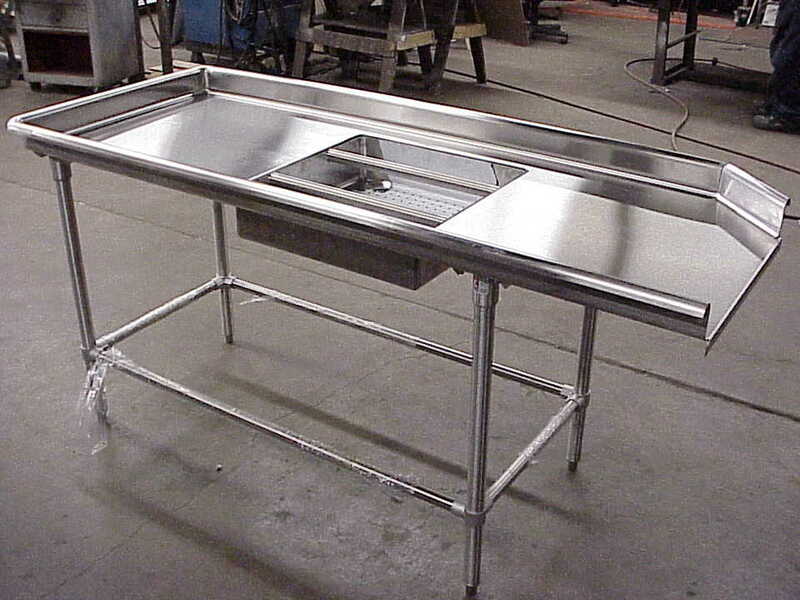 We can fabricate you a custom stainless steel prep countertop, cabinet and shelf combination to fit any of your food equipment components. 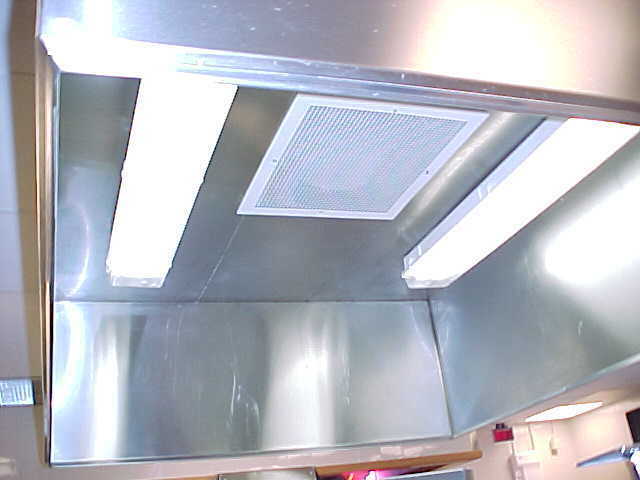 Custom built ventilation hoods. 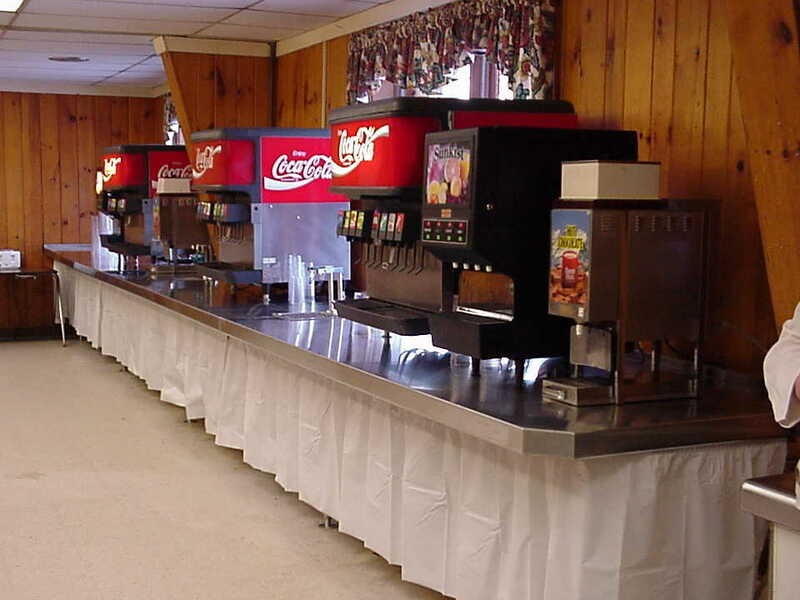 Large or small we can help you out. 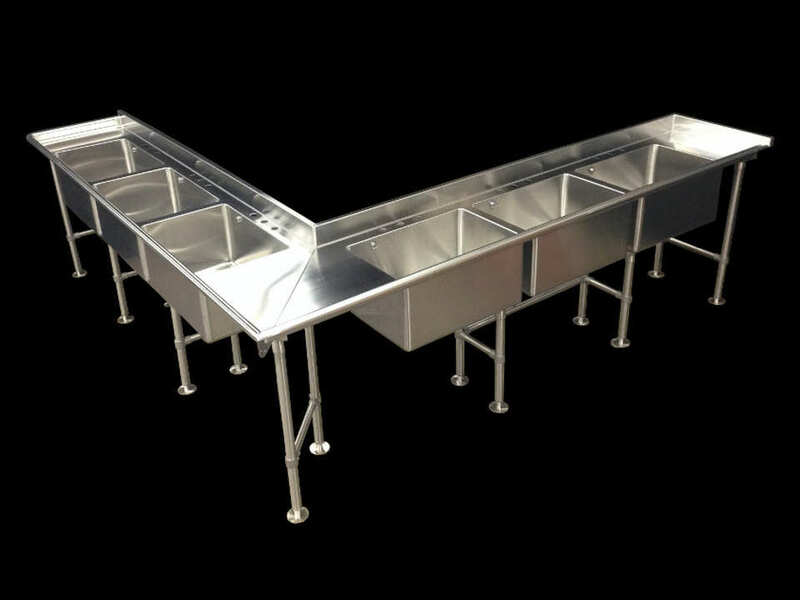 Our Stainless steel sinks are custom fabricated to meet the demands of commercial and institutional applications. 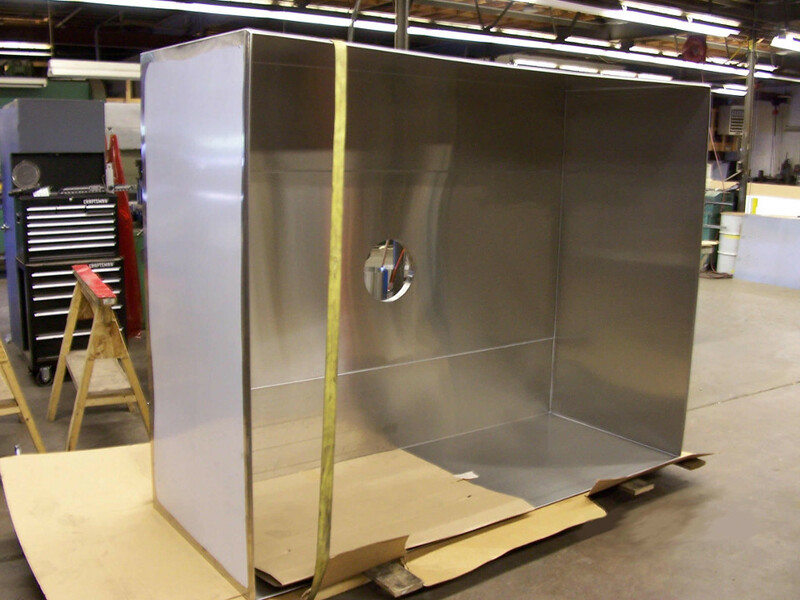 Thicker 14 or 12 gauge stainless construction is available for heavy duty environments. Sinks are availble in Top-Mount, Undermount, or as a traditional scullery sink with or without legs. 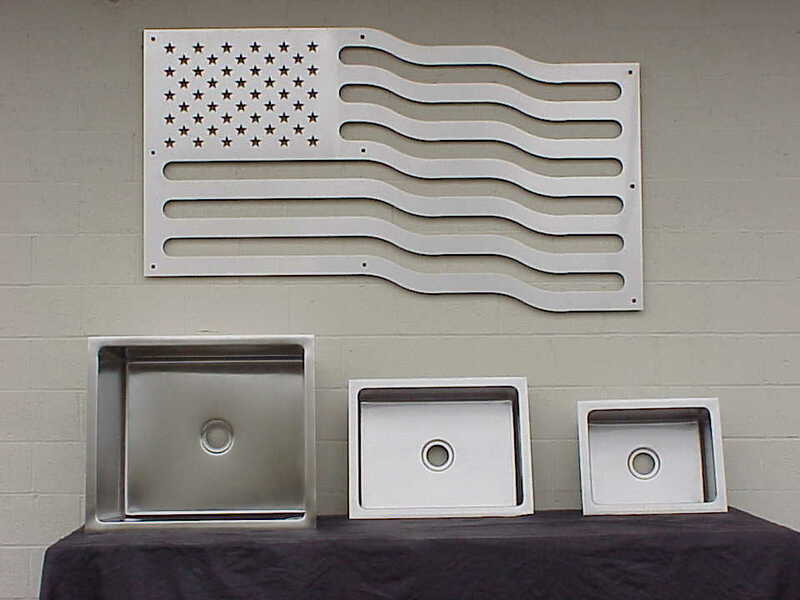 The sinks in the flag picture below were built for a United States Navy aircraft carrier. They were so big you could sit inside them.